Wonderful shot, love the scale...if we have to choose which would it be the power poles and lines or the wind turbine? i like this one a lot. the scale difference betweof the house and wind turbine is awesome! Nice juxtaposition of the old and new and I like the way the blades are fading into the fog. 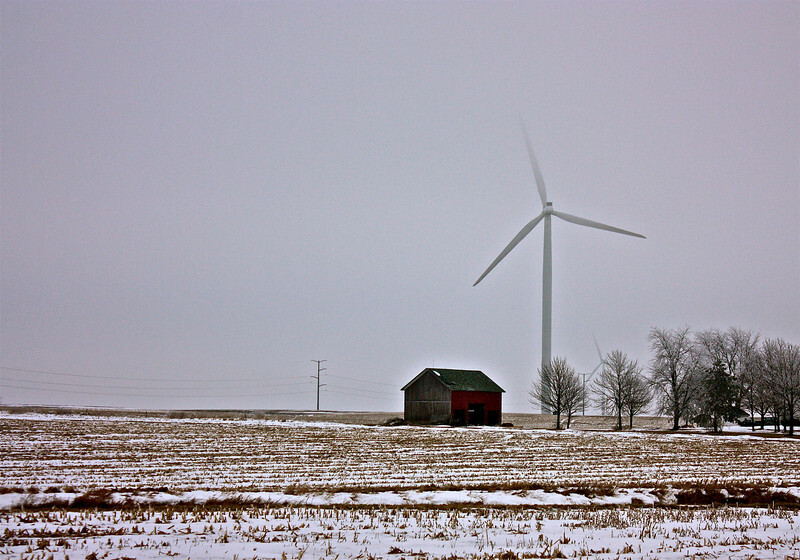 Funny to see a rural scenic shot like that, with the wind turbine in it. And, of course, love the cloudiness. Fascinating shot! Great shot! Got a bit of old and new in this.